Let’s face it, times have changed and so have the rules about how to manage others and behave with our colleagues at work. We need to forget about the out-of-date leadership models that too many people still hold on to—command and control, top-down, and disrespect just don’t cut it with today’s employees. In this video, I explain what it really takes to lead in these dynamic times and how to create cultures where people can perform at their best. 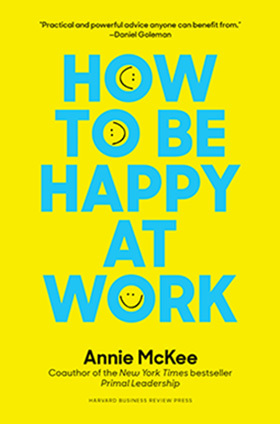 In this video series, best-selling author, respected academic, speaker and advisor to company leaders, Annie McKee shares stories, tips and relatable, inspirational advice and insights on How to Be Happy At Work during her recent talk at the University of Pennsylvania.